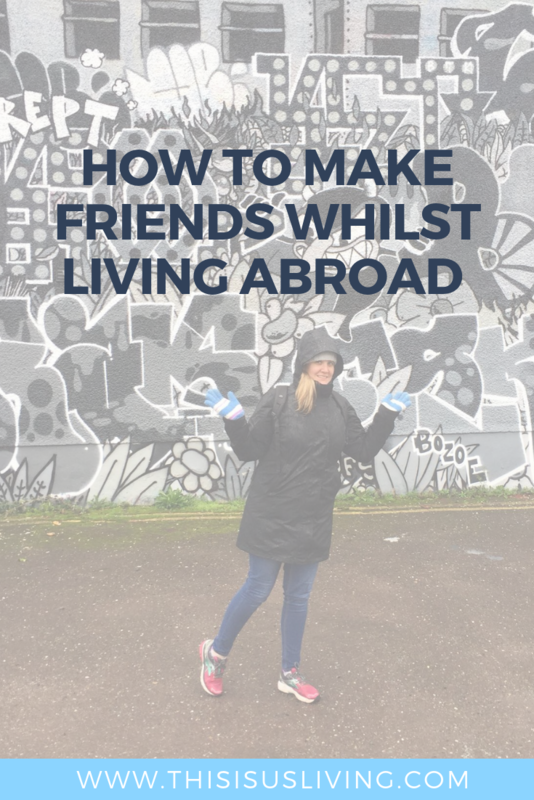 It is easy to make friends whilst living abroad, right? I have found that if you look hard enough, it is easy to find other expat friends from your home country. 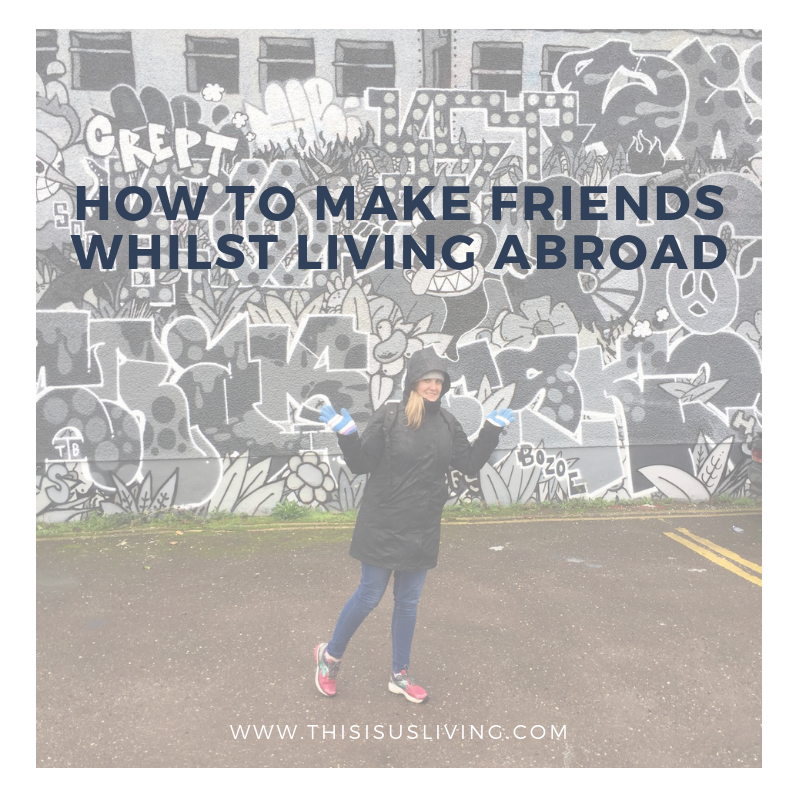 So if you really wanted to make friends, you could make friends fairly easily with fellow expats from home. But should you rely on only making friends with people from the same country as you? If you were to look at your current circle of friends, how many of them are from the same country/culture as you? This is something Rob and I are pretty conscious about, and only really since we moved over to Ireland has it really become an obvious thing we want to stay away from. I get the attraction to making friends with fellow expats, but why would you want to recreate exactly what you have back home, in a new country? Being South African, I have found a whole heap of South Africans who have made the same move as we have and are living in Ireland. The problem I have found is that so many South Africans choose to only be friends with South Africans – even when they are living abroad. But it is not just an SA thing though, it is a people thing. People generally stick to what they know, so you will generally find expats sticking together with other expats. The reason Rob and I try to avoid only being friends with South Africans is that when we are among other South Africans, it is very easy to start talking about the differences between Ireland and South Africa. The ‘when we lived in South Africa’ mentality is pretty easy to latch onto when you surround yourself with people who are just like you. The other thing is (and I know I seem to harp on about this!) is that we never left South Africa because we thought it was a bad place, because we felt unsafe, or because we thought Ireland would be better for our family. We left for an adventure, and to experience what living overseas was like. This might or might not be a forever adventure but I hate being around all that negativity that seems to follow people who have left South Africa for all those other reasons. I hate being around people who seem to complain about what it was like in South Africa but also who tend to complain about what it is like to live here in Ireland. Honestly, living abroad is a struggle as it is, it is not easy to fit in and work things out, but if you spend your days comparing and judging and complaining – who really wants to hang out with people like that?! There are tons of South Africans in Ireland – honestly, I was a little disappointed that we were not the first and only South Africans to ever think of moving to Ireland. But just because we come from the same country does not mean we need to be friends. I am sorry if that comes off rude, but hear me out… Friendship should be a little deeper than just the fact that you come from the same part of the world as someone else. The trap most expats fall into, is that it is easy to fit in with a group of people who are from the same country as you, but the risk is that you will never fully learn or understand the new culture you are living in if you don’t try to make friends with locals and perhaps other expats from other parts of the world. Be selective with your friends. Just because you are both from the same country does not mean you have to be friends. Having a friendship with someone else requires time and energy, you need to be available to meet up and keep in touch and so honestly my advice is quality over quantity. Join local groups or volunteer. Think of things like joining the gym or running club or even search Facebook for local groups. 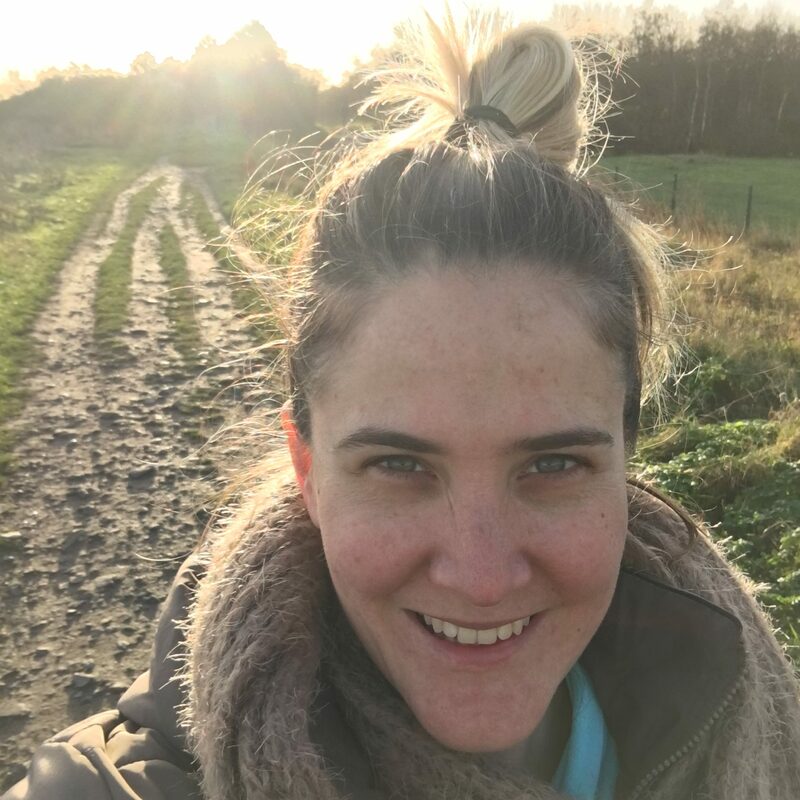 I recently joined a few expats in Dublin groups, plus I joined a local yoga studio. This way might take a bit longer, but if you are seeing people regularly every week, you are bound to make a friend or two. Make friends through your friends. This is actually a tip my mom gave me when I was looking for Rob. She always said I would find the guy of my dreams through friends, and she was kinda right! So once you have made a new friend, ask them to bring their friends to the next event. Get a hobby: There are clubs for absolutely anything and everything if you look hard enough for it. Things like photography, painting, pottery; are great place to find people with similar interests. A website I regularly use is meetup.com. Say yes to anything, and try anything twice. You need to have a yes attitude, just say yes to doing things and getting out, even if it makes you feel uncomfortable and even if you feel like a complete stranger at first. Also, sometimes people need a second chance, so if you go to an event and it was awkward and awful, try go a second time – who knows, maybe things will be better the second time around. You need to learn how to share more of yourself and be prepared to be a little vulnerable. The only way you make friends is if you open up and tell people how you are feeling. Another hard truth is that finding friends whilst living abroad takes a big knock to your ego, and unfortunately not everyone will want to be friends with you. You need to learn to let that go, and move on. Get to know your work friends. The quickest way to make friends is with people you spend most of your time with! Rob and I are lucky that we both work in environments where our work colleagues are actually fun to hang out with. Set up after work drinks, join the social club, go out for lunch – there are plenty of ways to make friends with people you work with. So full disclaimer, finding friends in Ireland is still a work in progress for me. I have been here for nearly two years and I still find it really tough. Making friends, wherever you are in the world, requires a lot of putting yourself out there. It means you have to keep trying different ways to make friends. Finding friends is a little like finding a partner – you have to find people who get your sense of humour, have similar interests to you and who you actually like hanging out with! And finding those special people is never going to be an easy, quick thing. It requires time and patience and little bit of hanging out with a few frogs before you find your new BFF. Hang in there, it does get easier… At least I hope it does, I will let you know! IF YOU WERE TO LOOK AT YOUR CURRENT FRIENDSHIP CIRCLE, HOW MANY OF YOUR FRIENDS ARE FROM A DIFFERENT COUNTRY/CULTURE TO YOU? When we lived in Switzerland, I avoided the ‘only for South Africans’ gathering. And now we live back in South Africa, my husband has never joined the Swiss Club. If we chose to live in a country, we need / want to integrate a bit at least. Not float along in a bubble of Remember When … or When We … And who needs the burden of negativity? Thanks Diana, good to know we are not alone in our thinking!